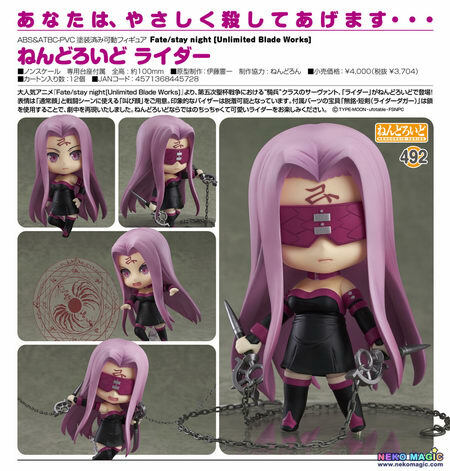 January 8th, 2015 By: GGT Category: 2015/05 release, Figure News. 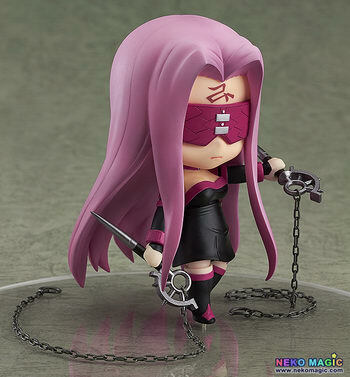 Good Smile Company is going to release the Nendoroid No.492 Rider ( ライダー ) action figure from the visual novel/anime “Fate/stay night [Unlimited Blade Works]” ( フェイト/ステイナイト [Unlimited Blade Works]). Will be released in May 2015. Around 100mm, 3,704 yen. 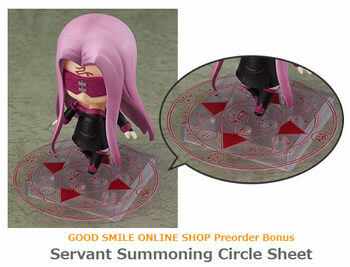 Preorders of Nendoroid Rider from the GOOD SMILE ONLINE SHOP will include a Servant Summoning Circle Sheet as a bonus! The bonuses will be sent at the time your product is ready to ship. Designs shown here is for illustrative purposes only. The final product may differ. 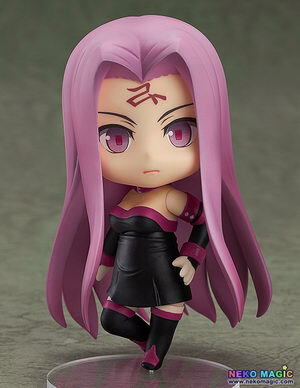 From the popular anime series ‘Fate/stay night [Unlimited Blade Works]’ comes a Nendoroid of the Rider-class servant from the 5th Holy Grail War, Rider! 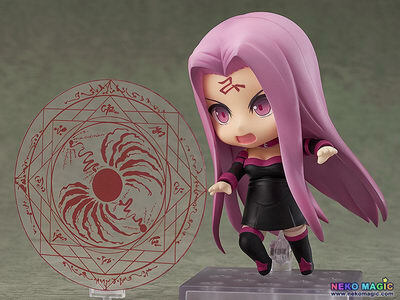 She comes with two expressions including both her standard expression as well as a shouting expression ideal for combat scenes. 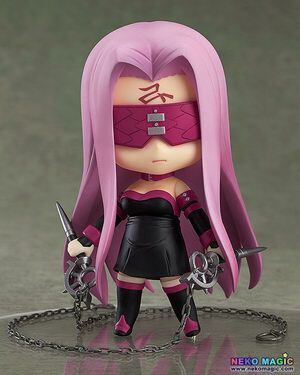 Nendoroid Rider can be displayed with or without the visor that covers her eyes, and she also comes with her ‘Nameless Dagger’ which even includes a chain allowing for all sorts of poses from the series! 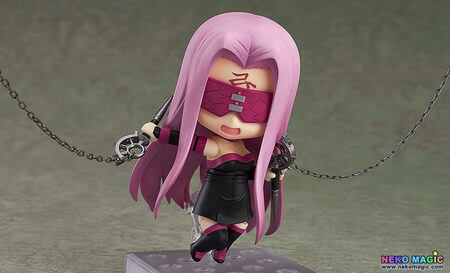 Enjoy Rider in Nendoroid size for a cuter experience than ever before!